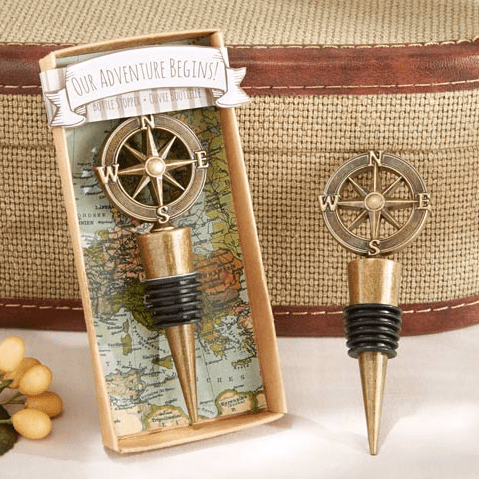 Complement any vintage or destination theme with these Vintage Compass Wine Stoppers! Unique and rustic, these favors will definitely wow your guests on your special day. Let love lead the way as your adventure begins! Dimensions: Width 5.7cm, Length 12.5 cm, Depth 2.5 cm. Presented in a brown gift box with a showcase PVC lid, geographical map backing, and "Our Adventure Begins!" card sash as shown. Please contact us should you require these immediately!